TWO Metroid games in one day! So, Nintendo ended up announcing not one, but two Metroid games today. Not only did we get Metroid Prime 4‘s announcement, we also got the announcement of Metroid: Samus Returns, a brand new 2D Metroid for the Nintendo 3DS, which will actually be a full fledged reimagining of the classic Gameboy game Metroid 2: Return of Samus. The new game will be overseen by Nintendo, and developed by Mercury Steam. It uses the same artstyle as Other M, and it actually looks really fast and frenetic. You can check out the trailer for it for yourself below. The game launches this year, on September 15, exclusively on the Nintendo 3DS, because if there us one thing we have all learned, it is that the 3DS will flat out never freaking die. 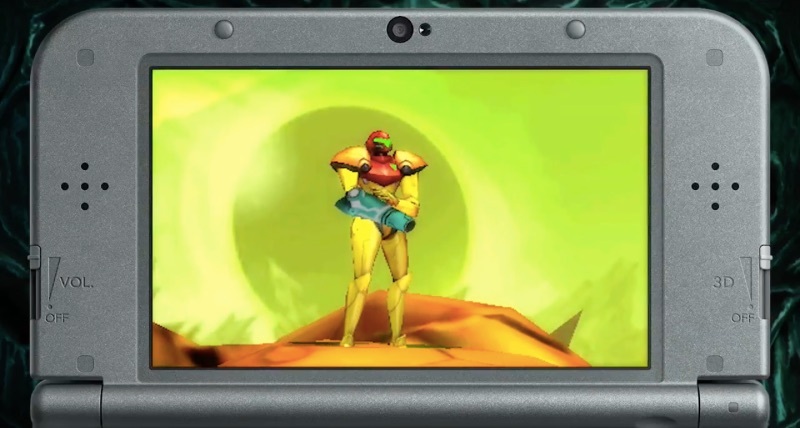 What do you think of the two new Metroid game announcements? Make sure to let us know for yourself in the comments section, and stay tuned to GamingBolt for all the coverage from E3.